Trees can be difficult to take care of. Watering them is a given, but besides that, most people do not know what to do to get big, beautiful, lush trees to grow in their yard. Trees need to be trimmed, pruned, and cared for to make sure they are healthy and beautiful. Without specific knowledge and training in this area, it can be a difficult task to undertake. This is why expert tree care services should be provided by a tree service company. Our expert trees services can help you keep your trees looking beautiful all year long. The trained team sent to your property will know exactly how to care for your trees to get them to thrive. We will trim the trees in all the right places, knowing that trimming in some places on the tree can actually harm the tree. We also know how to prune trees, including fruit trees. This will take all the guesswork away on your part. We have all the correct tools to get the job done, so you will not have to spend money on expensive tree trimming tools. Tree services include more than just trimming and pruning trees. 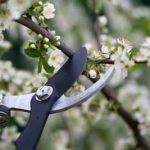 Our expert tree services also include trimming and pruning bushes. We can shape hedges and bushes so that they look well-groomed and manicured. We can also help you with trees that have a bug infestation or a fungus problem. If the tree is not able to be saved, we can do tree and stump removal. We can also handle cleanup of any damage caused by a storm. If you are interested in learning more about expert tree services, call us today at Top Notch Tree Service. We can help you make you trees beautiful again. We will also handle all of the cleanup, so it will look like we were not even there. We can take care of everything for you, so you can enjoy the benefits of big and beautiful trees.